In less than 20 years, Christopher Nolan has become one of the most important directors working today, dreaming visions larger than most directors’ canvases could contain, yet remaining steadfast in his dedication to traditional filmmaking, being vocally analog in an increasingly digital world. If Paul Thomas Anderson is the new Stanley Kubrick and J.J. Abrams is the new Steven Spielberg, then Christopher Nolan is the new James Cameron, dedicating years of his life to maintaining the visions of his movies and caring about more than just spectacle. Over the span of eight movies — nine, including his hotly anticipated Interstellar, opening in theatres this week — Nolan has reshaped the landscape of modern movies and become one of the most well-known and respected directors working today. These are the movies of Christopher Nolan: RANKED. PREMISE: Like a D-budget Coen brothers movie, Following deals with a nameless young writer (Theobald) who begins following people to gain insight into writing. When the burglar Cobb (Haw) catches him, the young man gets drawn into a web of the criminal underworld, tangled up with a blonde femme fatale (Russell), a naïve gangster (Bradsell), and several other neo-noir staples. VERDICT: Nolan showed great promise with his debut, but despite his best efforts, the lack of a budget still hurts the film greatly. Noble-minded but amateurish in quality at times, Following takes an already interesting movie premise and ratchets the insanity as the film marches along. Better camera equipment, stronger acting, and a higher quality of film would have helped the movie draw audiences in more, but as a premiere feature, Following still pointed to the heights Nolan would be able to reach once he had budgets large enough to visualize his dreams. PREMISE: Everyone knows who Batman is, but before Nolan took the wheel of the Caped Crusader’s franchise, few moviegoers knew (beyond the occasional flashback or Jack Nicholson monologue) how Bruce Wayne actually became Batman. With Bale donning the cowl left sullied by a miscast George Clooney, Batman Begins aimed to do just that. VERDICT: The biggest problem with Batman Begins remains how disjointed its two halves feel. For the first hour, the realistic tale of the Dark Knight’s origin story is an interesting presentation of a character that had long been associated with camp. When the movie shifts to a third-act switcheroo involving a man from Wayne’s past and a plan to destroy Gotham City, Batman Begins starts to feel like a movie that didn’t have a natural climax and so had a separate, more action-y story sewn on to make the movie more climactic. It mostly works, but it lives on more as the setup to the masterful sequel that followed it than anything else. It also, notably, feels the least like a Christopher Nolan movie, with an almost complete absence of his cinematic flavour; it outright feels like a job-for-hire, unlike Nolan’s second Batman movie. PREMISE: Nolan’s first studio picture was this remake of the 1997 Norwegian thriller of the same name. Al Pacino plays an LA detective stuck in an Alaskan town during a period of perpetual daylight. As he slowly begins losing it over an accidental crime he committed and is trying to cover up, his inability to get any sleep compounds his fragile mental state and threatens for a grave mistake to be made. VERDICT: Despite Nolan’s best intentions, his remake loses much of the thrill of the original. Replacing the nuanced Stellan Skarsgård with the over-expressive Al Pacino borders on misfiring, although Pacino holds it back when he really needs to. Williams, meanwhile, is excellent as the villainous Walter Finch, in a year Williams also went full-crazy in Death to Smoochy and One Hour Photo. Artfully made, skilfully paced, and the first time Nolan looked like he wasn’t shackled by any kind of budgetary handcuffs. PREMISE: Having foiled the Joker at the end of The Dark Knight (and with Nolan unable to use the character so soon after the death of Heath Ledger), Batman now faces an unstoppable force with a cunning intellect and the brute strength to outfight Batman. VERDICT: Cursed with being the Batman movie that followed The Dark Knight, Nolan had a nearly futile task ahead of himself in trying up his trilogy and living up to the already-mythic performance of Ledger, so the fact the movie is such a success really shouldn’t be forgotten. It does feel like the movie’s trying to throw everything it can fit into its running time at you in the hopes it doesn’t fail to try something, and Nolan flagrantly rips off his brilliant ending to Inception to diminished effect here, but the concluding tale of Batman facing a plainly stronger villain than he is delivers in most ways. PREMISE: Leonard Shelby (Pearce) has a condition: he can’t make new memories. His head got smashed during a home invasion that claimed the life of his wife, and now Leonard’s short-term memory resets every eight minutes. (He still retains all his memories prior to his attack.) With his wife dead, Leonard has been chasing down the man who killed her for longer than he can remember. VERDICT: The genius of Memento lies in Jonathan Nolan’s screenplay, which brilliantly tells Leonard’s story in reverse, starting with the final scene chronologically, then showing the scene that led to it, then the scene that preceded those events, and so on, back to the very beginning. While this could easily have backfired, through giving the “ending” away at the start, the clever script packs a number of twists into itself that frequently change what you thought you knew and redefine the events that initially seemed different. Pearce is fantastic as the struggling Leonard, as is Pantoliano as a man who may be a friend or an enemy. PREMISE: Two magicians with a friendly rivalry end up locked in a bitter war after one of their wives dies in the middle of an act. As their feud grows bitterer, the stakes become deadlier, with each wanting to triumph in the destruction of the other. VERDICT: Ingeniously, the movie functions that same way as any of the very illusions the movie deals in: it’s a magic trick in its own right, bedazzling you with one hand while pulling the rug out from underneath you with the other. Every actor in the film is at the top of his or her game and the wickedly smart screenplay is perfectly brought to life by Nolan. Of all his movies, The Prestige is Christopher Nolan’s most underrated. PREMISE: Bruce Wayne (Bale) finds himself torn in all directions: his love, Rachel (Gyllenhaal) has left him for the noble D.A. Harvey Dent (Eckhart); despite the hit to their business, the mob has taken an even stronger root in Gotham; and the anarchic, maniacal Joker (Ledger) unleashes himself upon the city. VERDICT: After having set up the Caped Crusader’s backstory already, Nolan was able to just let loose and dive headfirst into the grandest superhero movie that had existed up to that point. 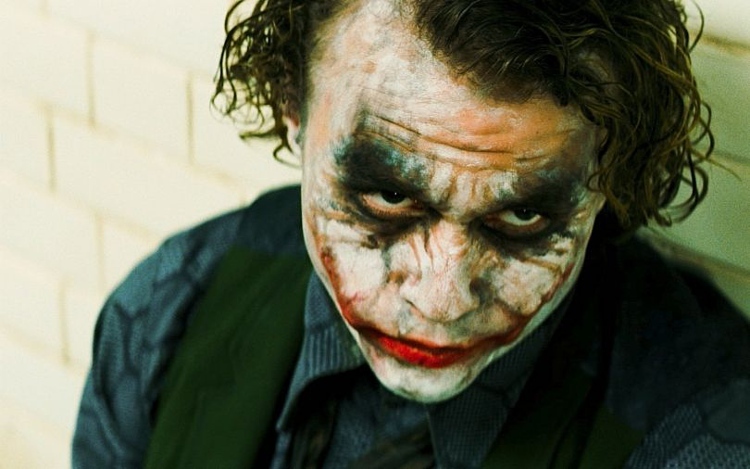 Pitting Batman against the Joker for the sequel was a smart movie, because while it seemed difficult in 2007 to imagine anyone besides Jack Nicholson in the role, the was definitively the villain people wanted to see – and Ledger made the role so much his own, many would argue his is now the definitive performance. The action is insanely tense, the spectacle was unlike anything seen up to that point in a superhero movie, and the moral issues the movie tackled were quite timely in 2008. Ultimately, The Dark Knight remains one of the greatest superhero movies made, if not still the champion. PREMISE: Inception tackles what seems like it would be well-worn ground – assembling the crew, the prodigy doing “one last job,” a team pulling off a con by all playing their parts at the right time – except for the fact the heist (or, more accurately, the sneaking in of something instead of out) takes place within someone’s mind. Cobb (DiCaprio) leads a crew of highly specialized individuals who break into people’s subconsciouses while they dream and steal ideas. When he’s contacted by a business mogul (Watanabe) who wants an idea planted in his competitor’s (Murphy) mind, DiCaprio foolishly takes it, setting his team on a path to which no one knows can foresee the end. VERDICT: Despite his success with the Dark Knight trilogy, Nolan is always at his best when tackling an original, heady idea (like Memento or The Prestige). Inception is his opus. (It made the top 10 of my 50 Greatest Sci-Fi Movies list last year.) Nolan spent close to a decade working on the movie in some way, and it shows. The world of Inception is fully realized and wholly original, with clever turns of the script you can’t see coming, likeable characters that work really well together, and a maddeningly open ending that is still argued over to this day. (Did that top fall over or not?) The set and script design married M.C. Escher and Sigmund Freud in a marvellous melange of unique action. Ultimately being nominated for eight Oscars (including Best Picture) and grossing over $825 million worldwide, Inception can arguably be called Nolan’s biggest hit to date, and the reason behind that is simple. When you have a brilliant script idea, the perfect cast, and a limitlessly capable director like Nolan, almost all the work is already done for you. Interstellar may change things, but for now, Inception is the pinnacle of the career of Christopher Nolan and proof of one of the most gifted and visually talented directors alive working at the top of his game.